Editor’s Note: This property closed on Nov. 19, 2018. Selling price: $1.450,000, 97% of asking price.) 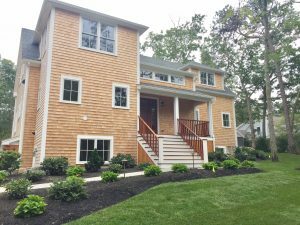 The newly constructed home for sale at 12 Bayberry Lane within the private community of Tashmoo Wood, West Chop, has an accepted offer. 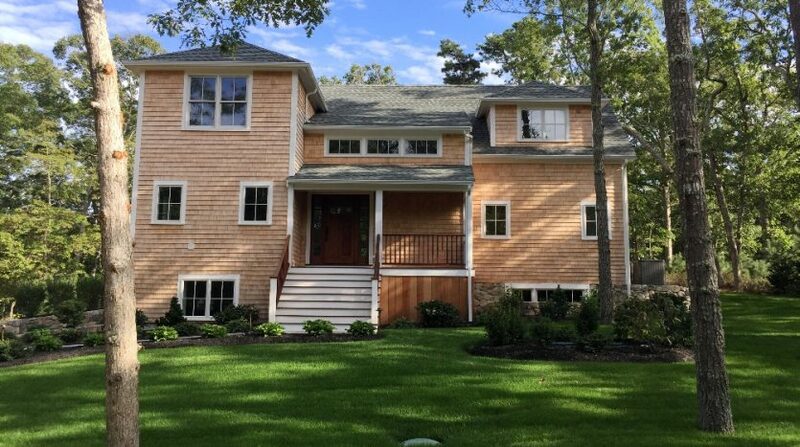 Built by Ray Bilodeau Building & Contracting and listed by Vineyard Open House Real Estate, the home was purchased by the very first buyer to walk through it. 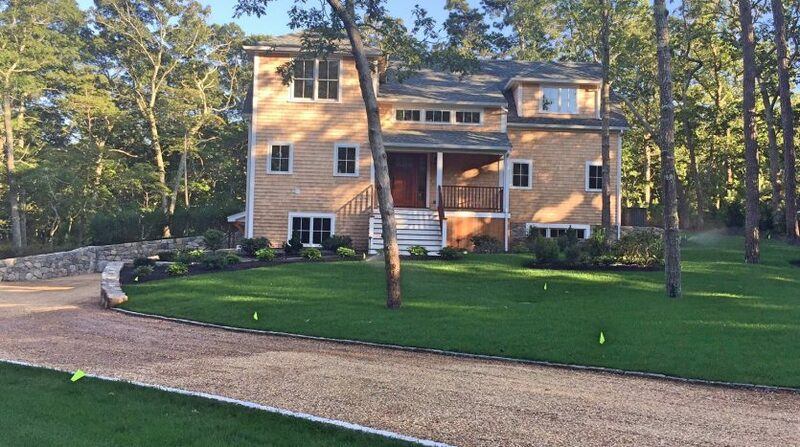 Plantings & sod are in at 12 Bayberry Lane. 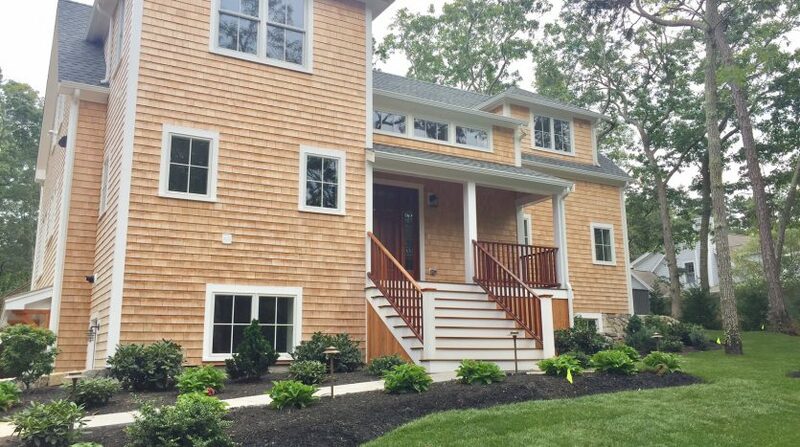 The finishing touches were barely complete when the offer to purchase was received. “Wow, a home run,” said builder Ray Bilodeau when word of the agreement was conveyed to him. As part of the deal, Bilodeau will add more storage shelves and a fire pit. The project is the second collaboration between Vineyard Open House Real Estate’s Principal Broker David Lott and Bilodeau. 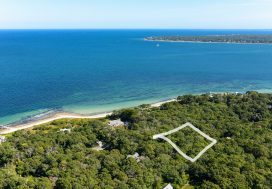 Their first home, in which the home went under contract before building was completed, is located on Tashmoo Avenue in Vineyard Haven. An accepted offer is the finishing touch. 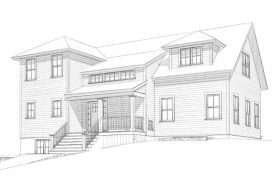 The home at 12 Bayberry Lane was first written about in the VOH blog in which architectural renderings of the home were revealed for the first time.In addition, the entire building process was chronicled on the VOH instagram page here. 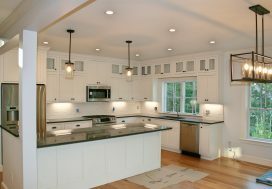 The property’s initial stages were also reported on the Golf Course Home Network‘s main website GolfCourseHome.com; the Tashmoo Wood community borders along the Mink Meadows Golf Club 9-hole layout. 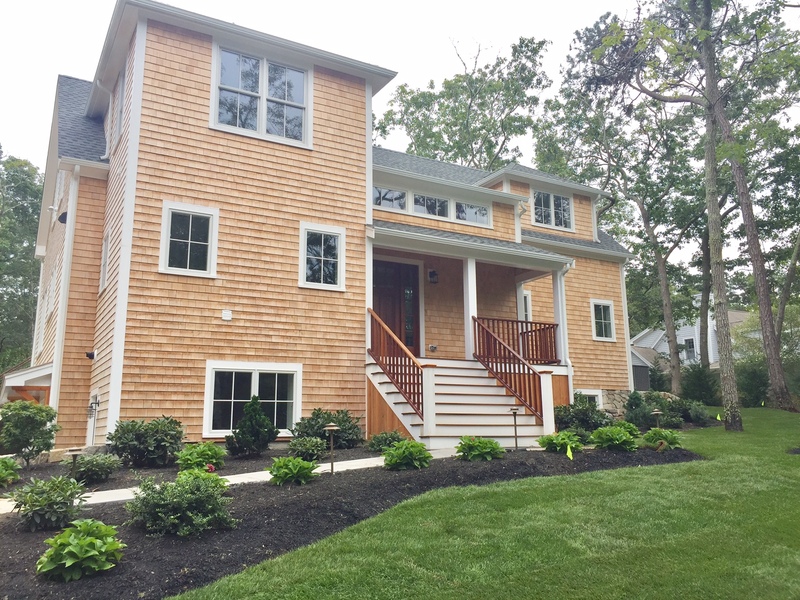 For more information on new home building , call David Lott at 508-338-2495, or contact him via email. 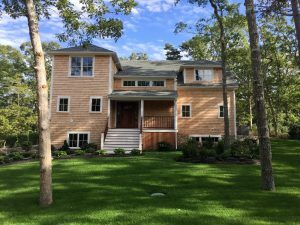 Ray Bilodeau has been involved in the building trade since he was a young man growing up in Connecticut. At the age of 24 his skills brought him to Martha’s Vineyard where he began working as a carpenter for an established island builder. 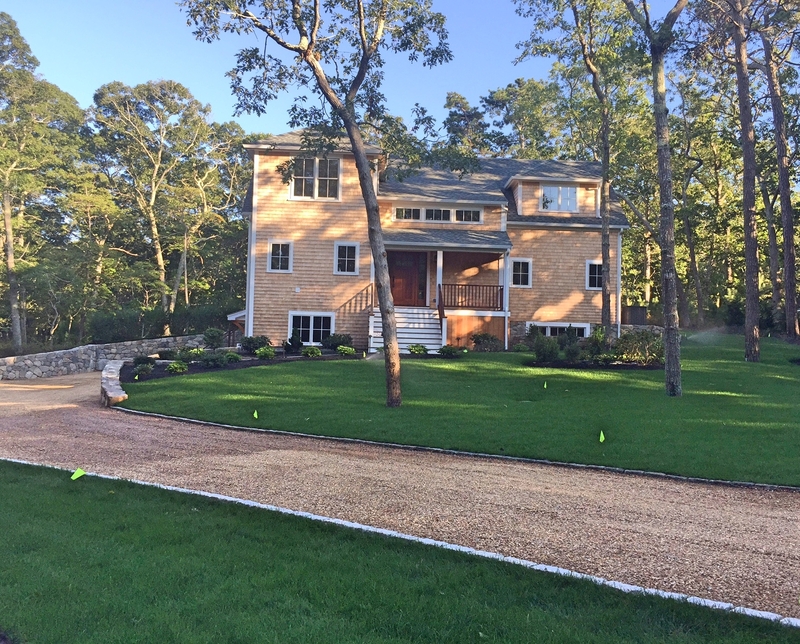 In 1987, Ray went into business for himself as a contractor and builder of fine custom homes. 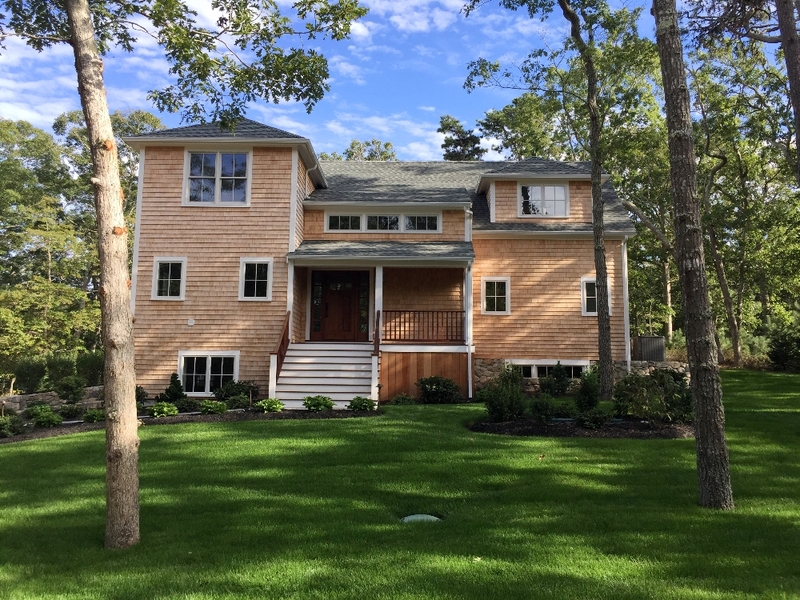 Since then, he has built many of the island’s finest residential and commercial projects. A true craftsman, Ray takes great pride in his work and has always been on-site every step of the way on all of the projects he has undertaken. His attention to detail, product knowledge, and efficiency help to make each client’s vision a reality. Today, Ray Bilodeau Building & Contracting represents the culmination of nearly 30 years of experience and is capable of meeting the needs of any client with a standard of excellence that exceeds the norm. Contact Ray Bilodeau.